Drawing on the Maitland movement diagram, this title presents a system for mobilization of the neural and musculoskeletal systems. 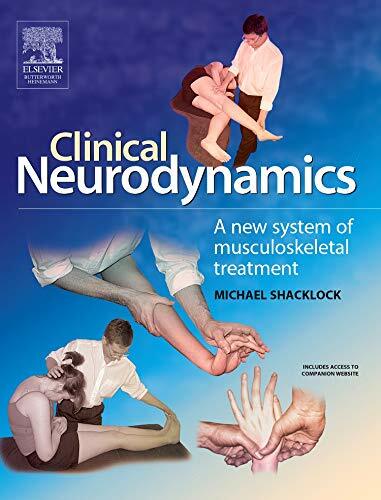 It guides readers through the subject of neurodynamics and the basic mechanisms in movement of the nervous system, linking causal mechanisms to diagnosis and treatment of pain and common musculoskeletal problems. A groundbreaking approach to neural mobilization, this one-of-a-kind resource draws on the established Maitland movement diagram to present a completely new system for mobilization of the neural and musculoskeletal systems. The text guides readers through the complex subject of neurodynamics and the basic mechanisms in movement of the nervous system, systematically linking causal mechanisms to diagnosis and treatment of pain and common musculoskeletal problems. This new progressional method is ideal for diagnosis and treatment of musculoskeletal disorders with neural involvement such as spinal and peripheral (extremity) disorders, the nerve root, dura and peripheral nerve. Unique approach applies and modifies Maitland techniques to neural mobilization, refining and improving practical skills for clinical physical therapists. A new movement diagram applies Maitland's established movement diagram to the nervous system and enables professionals to integrate musculoskeletal and neural mechanisms. New diagnostic categories of specific dysfunctions, focused on evidence-based research, are presented. Various treatment techniques for each diagnostic category are discussed. and applied to specific clinical problems such as neck pain, headache, tennis elbow, carpal tunnel syndrome, and low back pain. Summary and key points are indicated with symbols throughout the book. An accompanying CD-ROM provides real-time images of nerves moving and shows dynamic abnormalities of nerves. Illustrations show how neuromusculoskeletal problems develop in a way that uniquely links musculoskeletal and neural functions. Clinical case histories illustrate the key points related to scientific and clinical applications.